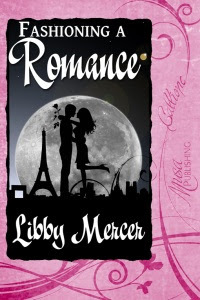 Speculative Romance Author Regina Paul: My Favorite Rogue: Rhett Butler by Libby Mercer 404 ~ Page Not Found! I’m probably going to be stoned to death for admitting to this, but… Mr. Darcy bores me to tears. That’s a strong statement, I know, and I can definitely appreciate his good qualities, but as a romantic ideal, I really don’t get the universal appeal. Captain Butler, on the other hand, well… he’s a different story. A scoundrel. A scamp. A scalawag. Any reader with even the slightest case of Bad Boy Fever (whether in real life or in fiction only) will warm to Rhett right from the start. His confidence, and yes even his cockiness draws the reader (or the filmgoer, if you prefer) to his side almost immediately. I think it’s a combination of courage and perhaps a bit of the devil-may-care that leads him to question aloud the wisdom of going to war in the presence of so many bloodthirsty gentlemen, desperate to fight in the name of honor. And we can’t overlook the fact that the man is smart. Unlike all the other men in Gone With the Wind, who are swept up in the hullabaloo of impending war, Rhett is able to understand and articulate the foolishness of engaging in battle with the North. His later roles as blockade-runner and war profiteer don’t endear him much to his contemporaries. Granted, Rhett’s sense of community is questionable at this point in the story, but his business sense is admirable. It’s not mentioned in the film, but in the novel, we learn that Rhett, estranged from his family and kicked out of West Point, made his fortune in the California gold rush. 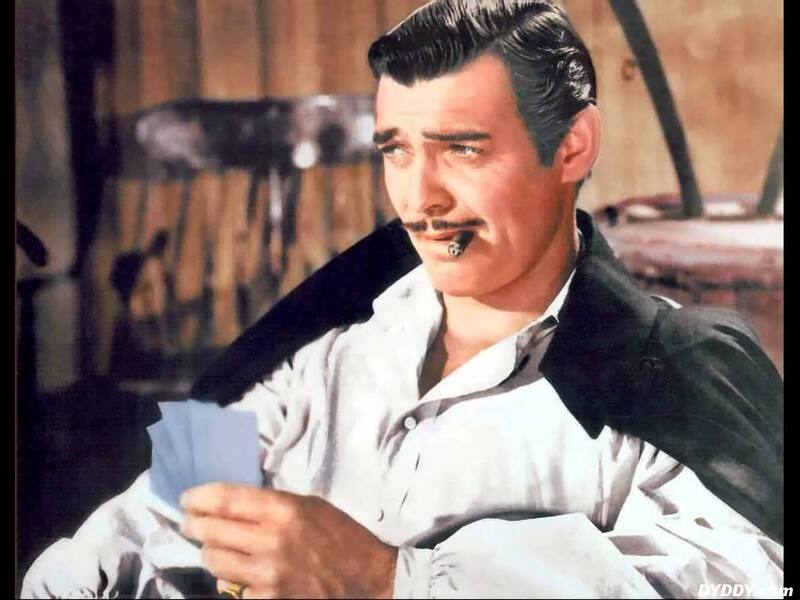 Intelligence and business savvy are, I believe, two of the most universally appealing aspects in a man, whether real or fictional, and Rhett Butler has them in abundance. One thing that sets Rhett apart from the other men in the Gone With the Wind is his frank sexuality, which is particularly notable when we compare him to the very non-sexual Ashley Wilkes. He makes no secret of his frequent visits to Belle Watling’s house of ill repute, and long before he asked Scarlett to marry him, he asked her to be his mistress. Although this was overlooked in the film version, in the novel, we learn that Rhett is the guardian of a young boy who’s away at boarding school. It’s never confirmed, but the implication is that the child is Rhett’s illegitimate son. And then of course there’s the manner in which he handles Miss Scarlett. Scarlett is a top class manipulator, skilled in using her charms to bend people (well… men, anyway) to her will. She’s unable to do this with Rhett. Not that he doesn’t have it bad for her. Obviously, he does. But he’s fully aware of the motivation behind her coquettish behavior, and the fact that he has this knowledge takes her down a few pegs. Rhett is the only one who truly understands Scarlett and this is why they’re so perfectly matched. Too bad she doesn’t realize this until it’s too late. So there you have it. Rhett Butler, my all-time favorite rogue. Just as a disclaimer, John Harrington, the hero of my new romance novel, Fashioning a Romance, is nothing like Rhett. He’s not the least bit rogue-ish. I have yet to write a Rhett-inspired hero, but I definitely plan to do so in the not-so-distant future. So be sure to stay tuned! Libby Mercer lives in San Francisco, CA. She enjoys crafts, knitting and sewing in particular and traveling. She also likes long walks on the beach, and a cup of hot chocolate in front of a roaring fire. Visit her website today to find out more about Libby and her books, including a lovely free read!